Donna Rosa has been an active member in UNA-USA since 2010 in both local and national roles. She is currently President of the Northern New Jersey Chapter of UNA-USA and a board member of the Southern New York State Division. She previously served as Secretary of the Steering Committee (now the National Council) and Chair of the Membership Committee. Donna is an international business development services (BDS) consultant who provides business support to micro- and small enterprises in developing countries. She has coined the term “aidtrepreneurship” to describe assistance for entrepreneurs in the developing world. Following an extensive corporate career in the food industry, Donna now leverages her business and sector expertise in international development and aid work. She specializes in agribusiness and food processing and has worked in 27 countries helping smallholder farms, food companies, organizations, and community groups under USAID, DFiD, and UNDP assignments. Her services include strategic business advisory, business plan development, market research, marketing, capacity development, training, organizational development, and mentoring. 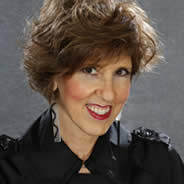 Connect with her at www.donnamrosa.com.